Saturday’s games kicked off with the newly graduated Class of 2018 facing off against the Class of 2010. After a slow start, 2010 began to pull away after Andrew Eusebio Jr hit four threes to put his team up in the first half. 2018 struggled to get much going, but 2018’s Daryl Delos Santos would hit two threes to keep them within six points. The next half would be much more lopsided as 2010’s Earvin Jose caught fire as well as he began to rain down threes after quick defensive stops. 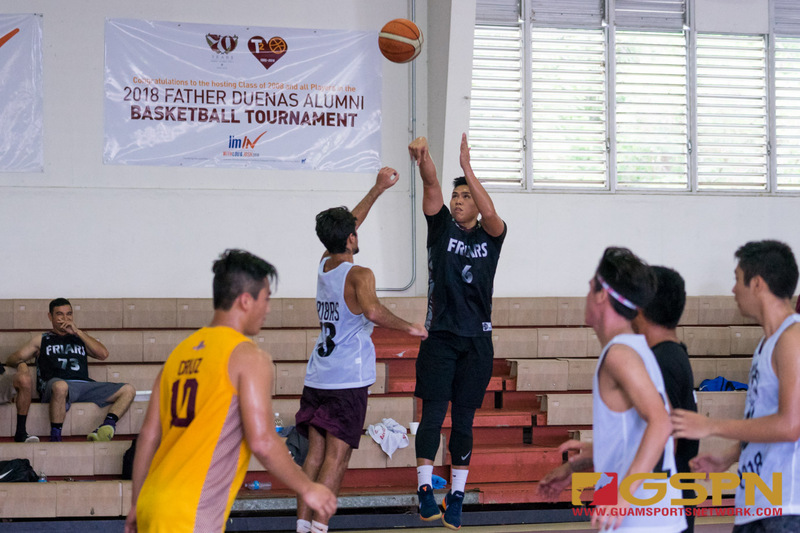 2018’s Delos Santos would hit two threes early in the half to try and keep his class in contention, but the combined efforts of Jose and Eusebio would prove to be too much for the young squad as they would lose the game 63 to 77. Eusebio and Jose would combine for a total 15 three pointers and 47 points. In a highly anticipated match, the Class of 2013 would beat out the Class of 2016 with their physicality and numbers. The first half would revolve around the rim, as both classes struggled to find success at the three-point line early on. 2016 battled to gain an early lead, but 2013’s John Baza came off the bench to lead his team to gain a six point lead by the end of the half. The second half would see much more scoring, but it would come mostly from 2013 as Johnny Onedera would begin to find lanes to the bucket to find points either through tough layups or free throws to put his team up by 11. Devin Sudo would attempt to lead an effort to bring his class back into the game, but quick defense from the 2013 guards made it difficult for 2016.